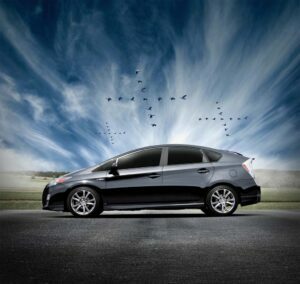 With the introduction of the Prius Plus Performance Package Toyota aims to give a little "mean" to its familiar green machine. Who says a green machine also has to be a stone pony? A number of makers are out to prove that clean, high-mileage battery technology can also deliver surprising performance with products like the Audi etron concept and the Mercedes-Benz SLS e-Cell. But now Toyota is weighing in, offering up the new Prius Plus Performance Package, an alliterative way of saying a more sporty version of the world’s best-selling hybrid-electric vehicle. The limited-edition Prius was developed with the helping hand of Toyota’s performance and racing arm, TRD, which is an immediate sign that this is more than just an all-show-no-go offering. “PLUS is an evolution of hybrid design, where fuel-efficiency co-exists with aggressive styling and performance handling,” the maker explains. In practical terms, the Prius Plus Performance Package – P4, if you’ll allow us to use shorthand – starts out where the already aerodynamic hybrid leaves off. That means a seven-piece aero package including front and rear lower spoilers, side skirts and a rear diffuser that not only add a bit of aggressiveness to the base car’s insufferably smug appearance but also improve its drag coefficient. Germany, China Linking Up on EVs. The two nations hope to leapfrog U.S., Japan on battery car technology. Chinese makers like BYD want to gain the lead in battery technology and may do so by working with their German counterparts. China and Germany have signed a new round of 14 trade deals, including one valued at more than $15 billion. The agreement that has sparked considerable interest is one that calls for closer collaboration between German automakers and their Chinese counterparts on the development of electric vehicles. 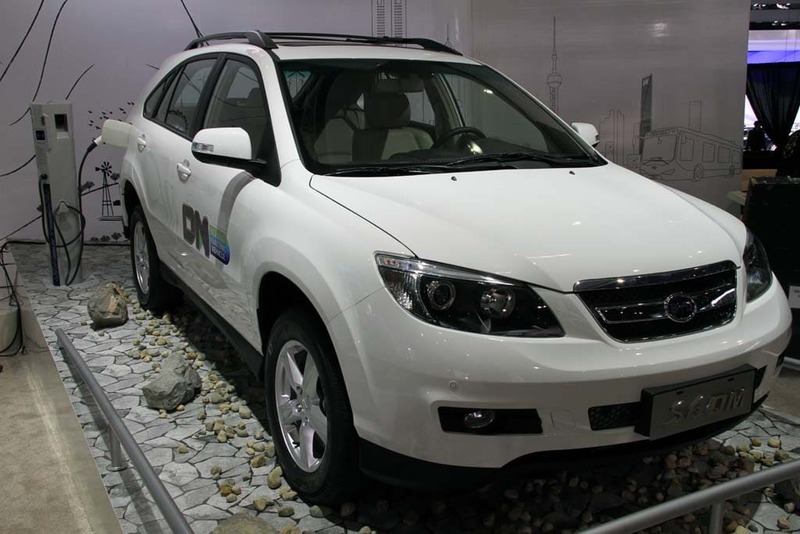 German and Chinese companies, such as Mercedes-Benz and BYD, are already working jointly on EV projects. The new contracts include one for an electric car project between German auto giant Volkswagen and its Chinese partner First Auto Works, or FAW, involving a factory in Foshan. VW also signed a deal with Shanghai Automotive Industry Corporation, its other key Chinese partner, while Daimler and the Beijing Benz Automotive Company inked an agreement on investment in new products, engines and a research and development center within China. 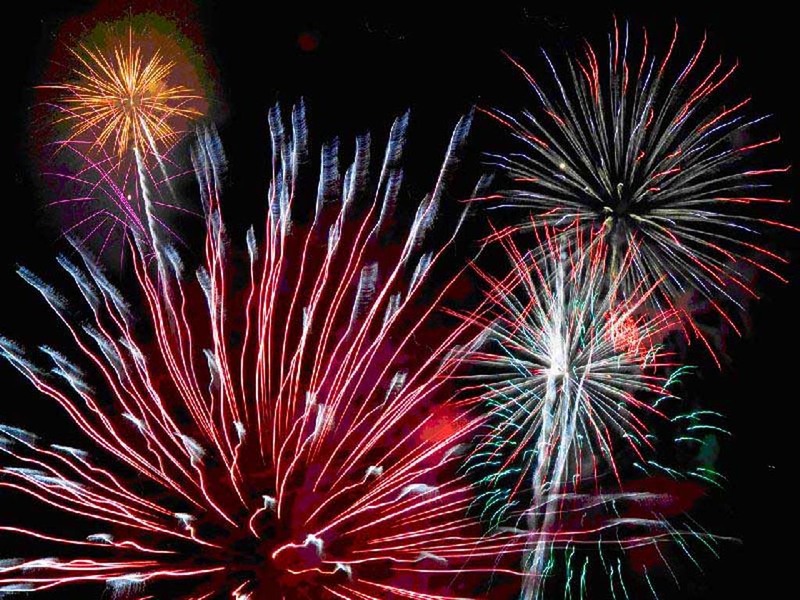 Forget $5; most Americans will see prices closer to $3.50 for Independence Day. With fuel prices down, motorists have reason to celebrate over the long Independence Day weekend. Don’t be surprised if the local market marks up prices on hot dogs, ground beef and barbecue supplies in the coming days as they take advantage of the Independence Day holiday – but getting to the store might prove cheaper than anticipated. 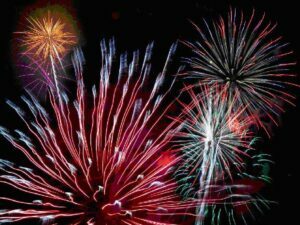 Despite recent forecasts that gasoline prices might skyrocket to $5 a gallon by the Fourth of July, those predictions have proved to be duds. A variety of factors – including the White House decision to tap the national strategic oil reserves – are getting credit for the unexpected plunge in prices, which peaked at around $4 a gallon in late spring. Many service stations owners are still expected to nudge their numbers up, however, taking advantage of travelers who might be less likely than normal to look for the best bargains. On the other hand, retail giant Wal-Mart announced that it will cut the price of fuel sold at many of its stores across the country by a dime, a discount it says it will maintain for the next 90 days. 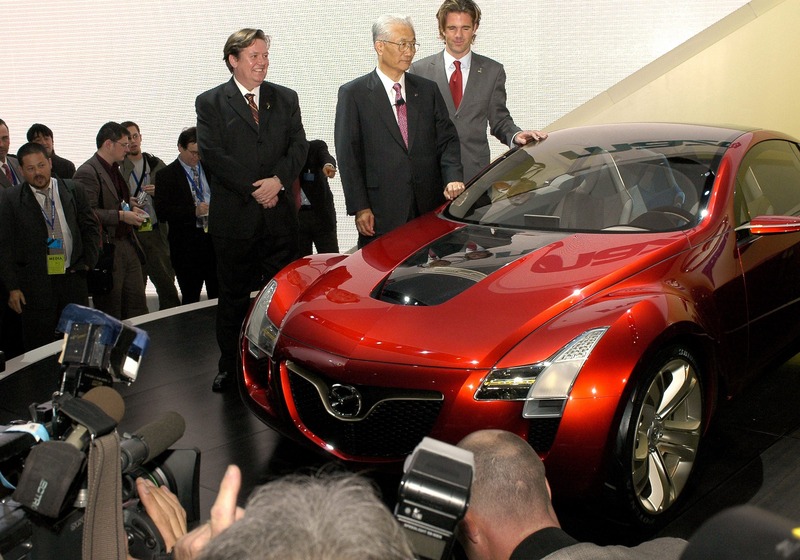 Nissan chief handily out-earns Toyota, Honda chief execs – but lags well behind Ford’s Mulally. 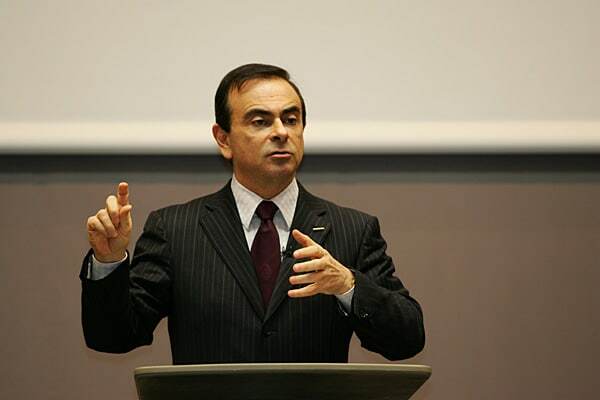 Ghosn collects $12 million at Nissan and another $1.7 million for his duties at Renault. It’s expensive in Tokyo. But Nissan Chief Executive Carlos Ghosn shouldn’t have to worry much about the price of sashimi – the Brazilian-born executive drawing a paycheck of nearly $12 million last year. That figure, which includes pay, stock options and bonuses, doesn’t include the $1.7 million Ghosn also collected from Nissan’s French alliance partner Renault, where he also serves as CEO. Ghosn’s 2010 compensation made him the highest-paid “gaijin,” or foreign, executive in Japan, readily out-earning Sony’s CEO Howard Stringer, who made $10.66 million for 2010, as well as the managers at Nissan’s primary automotive rivals. By comparison, Akio Toyoda, the founding family heir and chief executive at Toyota, made $1.8 million, while Honda’s Takanobu Ito had to get by on a mere $1.6 million. But while lavish by Japanese standards, Ghosn’s remuneration was modest in comparison to the paycheck taken home by Ford Motor Co.’s top two bosses. Chief Executive Officer Alan Mulally’s total package nudged up towards the nine-figure mark, including the $56 million in stock he was awarded, while Ford Chairman Bill Ford Jr. claimed $42 million in stock on top of his pay and bonuses. A Hybrid Without the Battery? British "flybrid" could be cheaper, more compact alternative to battery-based hybrid systems. 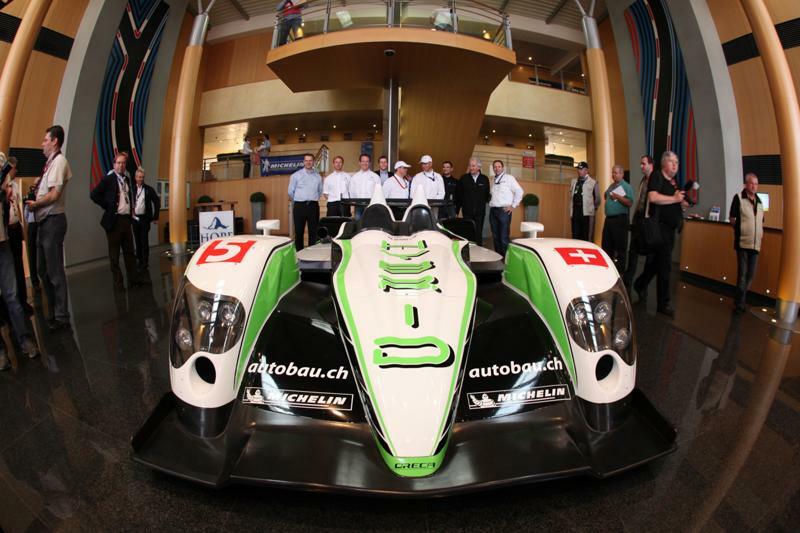 Hope Racing's LMP1 entry at LeMans got an extra 130 hp from its flybrid system. With Washington floating plans to raise federal fuel economy standards to as much as 56.2 mpg, many experts believe that hybrids could become the norm, rather than the exception, in the years ahead. But while today’s gas-electric technology may deliver a significant bump in mileage, it also results in a hefty cost penalty, on some models nudging up to $5,000 over a conventional powertrain. A small British firm is developing what it claims to be a more cost-effective alternative – a totally mechanical system that eliminates the most costly and troublesome part of today’s hybrids, the battery. Already battle-tested during the grueling Le Mans endurance race, the so-called “flybrid” system could make its first appearance in automotive showrooms before the middle of the decade. Auto News When You Need It! The technology is “smaller, lighter, more powerful and more efficient” than battery-based hybrids, claims Jon Hilton, Managing Partner of Flybrid Systems, which is based at the Silverstone race circuit in Northants, England. 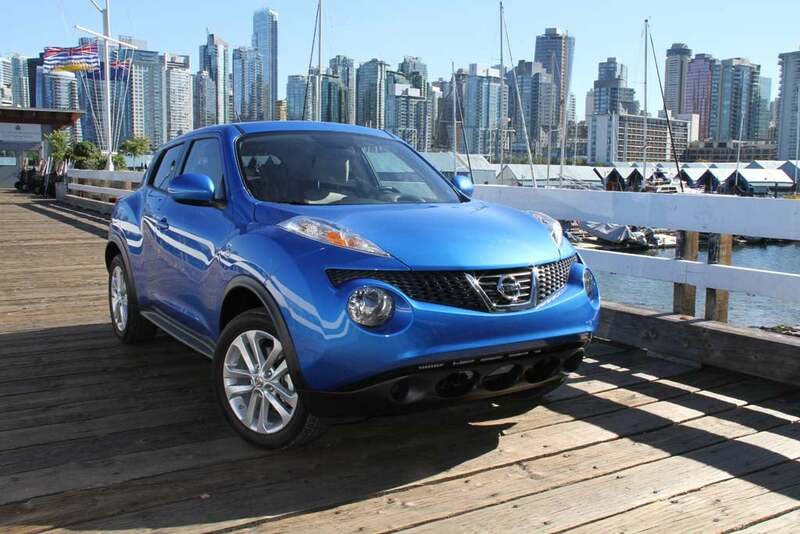 But perhaps the biggest selling point is its price, somewhere between $1,800 and $2,000 a vehicle. Another U.S. plant a possibility; maker may also add Infiniti production. 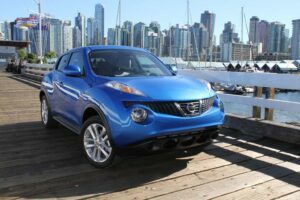 With the Juke and a number of other new products coming to the U.S., Nissan needs to expand North American production capacity. This story has been updated to include details on Nissan’s individual U.S. and Mexican plants and more on its plans for Infiniti. Anticipating significant growth in both North and South America Nissan is working up plans that will call for the expansion of its current production base in the U.S. and Mexico, a senior official confirms, hinting that the maker may also resume production of Infiniti models in North America. Nissan earlier this week unveiled a new 6-year plan, dubbed Power 88, that projects a 50% increase in global sales, with much of that expected to come from China, India and other emerging markets, but the U.S. and other parts of the Americas are central to what global marketing chief Simon Sproule acknowledges is an “aggressive” plan. “What’s clear is if we look at our aspirations for growth in the U.S. and the role the (two Nissan) Mexican plants play for our growth in North and South America we’re going to have to have more capacity,” said Sproule, who was interviewed during a segment TheDetroitBureau.com hosted on Detroit NPR affiliate WDET-FM. Updated rotary engine would run leaner, more fuel efficient. The Mazda Kabura concept makes its debut in Detroit. The rotary engine is the powertrain of the future – and always will be, declares the engineers who have spent frustrating decades trying to overcome the once-promising Wankel engine’s drawbacks. Small, light and powerful, the rotary seemed destined for glory, with makers such as General Motors, Mazda and American Motors among the many manufacturers committed to using the engine back in the 1970s. But then the first Mideast energy crisis struck and all but Mazda were forced to abandon the Wankel due to its relatively poor fuel economy. Over the years, Mazda has scaled back rotary applications but never abandoned the technology – and now, the Japanese maker may have come up with an intriguing solution, using a laser ignition system, instead of conventional spark plugs to boost the Wankel’s fuel efficiency. The British magazine AutoCar quotes a “senior,” albeit unidentified Mazda engineer involved with the ongoing development of Mazda’s next-generation rotary, known as the 16X Renesis. Announcement follows news Toyota’s debt downgraded. 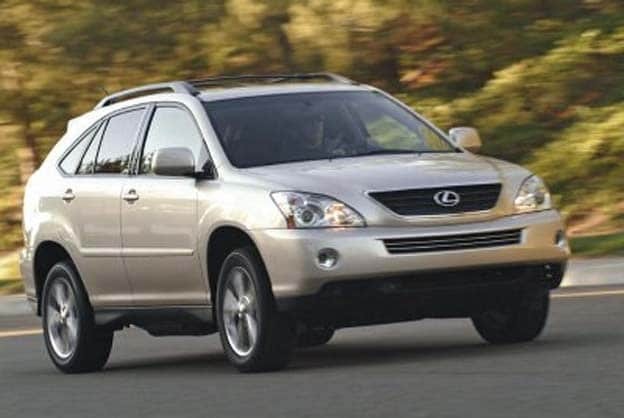 The Lexus RX400h is one of two Toyota hybrid SUVs affected by the latest safety recall. Toyota will recall more than 82,000 hybrid SUVs sold in the United States due to potential wiring defects. The news is another setback for the Japanese giant, which has been struggling to regain control over its quality after a series of safety-related problems that led it to recall more than 10 million vehicles last year – and which have spurred a flurry of lawsuits now working their way through the courts. 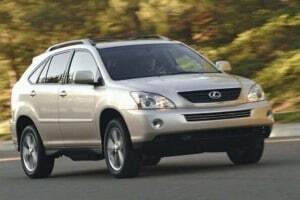 The latest recall involves 45,500 Toyota Highlander Hybrid SUVs and 36,700 Lexus RX400h hybrid crossovers sold in the U.S. during the 2006 and 2007 model-years. According to the maker, the hybrids may have computer boards with improperly soldered connections. Under “high-load” driving conditions those connections could break. In turn, a vehicle might either operate at reduced power for a short distance or coast to a stop. Ford President Mark Fields one of the guests on today's NPR broadcast - which will be repeated Weds. evening. Ford President Mark Fields is one of today's guests. Live – from Detroit – it’s TheDetroitBureau. Publisher Paul A. Eisenstein’s guest host appearance on the Craig Fahle program on NPR affiliate WDET-FM will be rebroadcast from 7 to 9 PM this evening. The program’s last 45 minutes were preempted by a news conference by Pres. Obama. But the second airing will include three additional speakers, including Ford Pres. of the Americas Mark Fields. And there’ll be news in the making, including an update on Nissan’s plans to expand production in North America. Moody’s makes note of maker’s mounting problems, challenges. 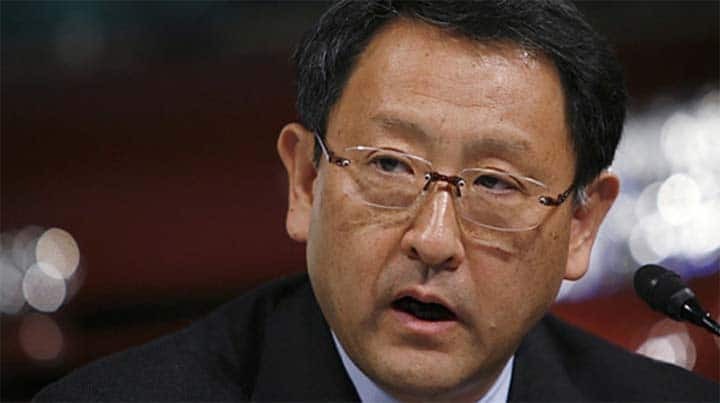 Another setback for Toyota CEO Akio Toyoda. Not long ago seen as the auto industry’s invincible 800-pound gorilla, the problems keep piling up for Toyota, and that’s worrying the folks who have to put a rating on the maker’s debt – Moody’s downgrading Toyota and warning it could cut the debt rating again in the months ahead. The Japanese giant still commands the investment-grade rating its Detroit rivals can only dream of, but the latest move by the powerful ratings service underscores growing concerns about Toyota’s ability to cope with problems ranging from quality to new competitors, as well as the setbacks it has suffered in the wake of the March 11 disaster in Japan that will likely reduce its production this year by close to 500,000 vehicles.